propped up against the hearth in my family room, I finally got around to painting it. 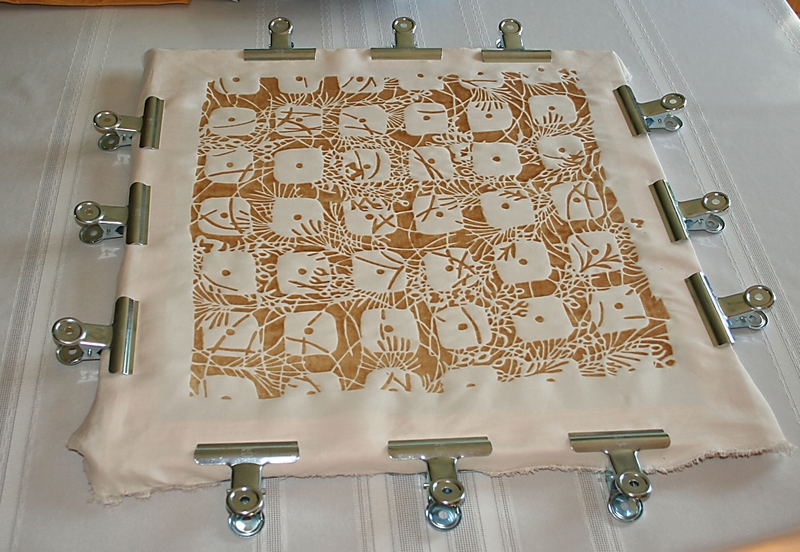 That piece was screen printed in a Katazome workshop I took with Karen Miller years ago. 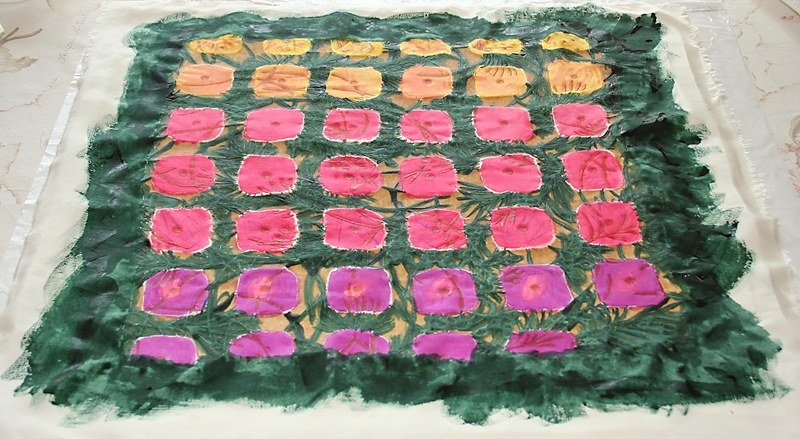 Instead of painting the second print in class – like everybody else who attended the workshop, I decided to bring this second piece home to paint it with thickened dye concentrates. You know that saying about best intentions don’t you? That fits me to a tee. See all those nice clean cream lines? That’s where the gold resist was. 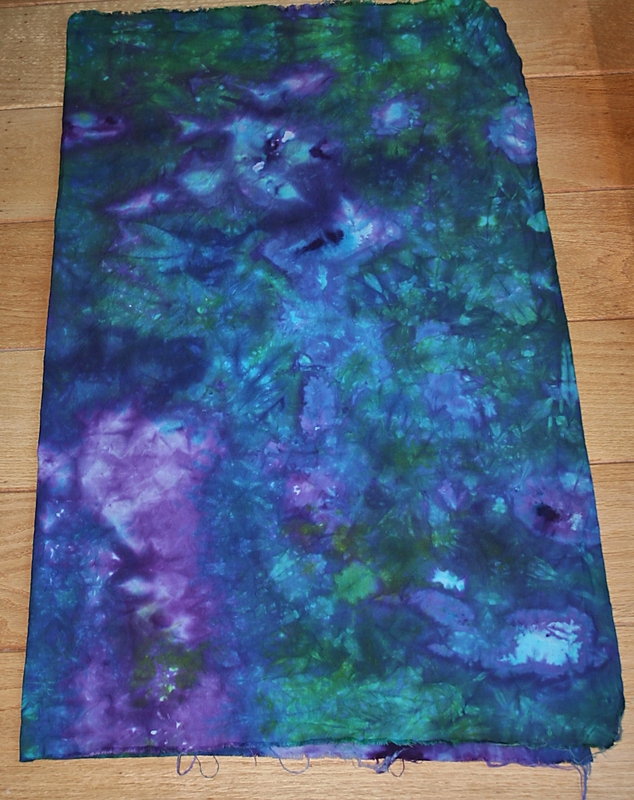 Procion MX dye concentrates were used – the left over colors from my ice dyeing, and there was hardly any color run off on this silk fabric. It’s not real noticeable, and I’m happy with how it turned out. Am I finished? I’m not sure. 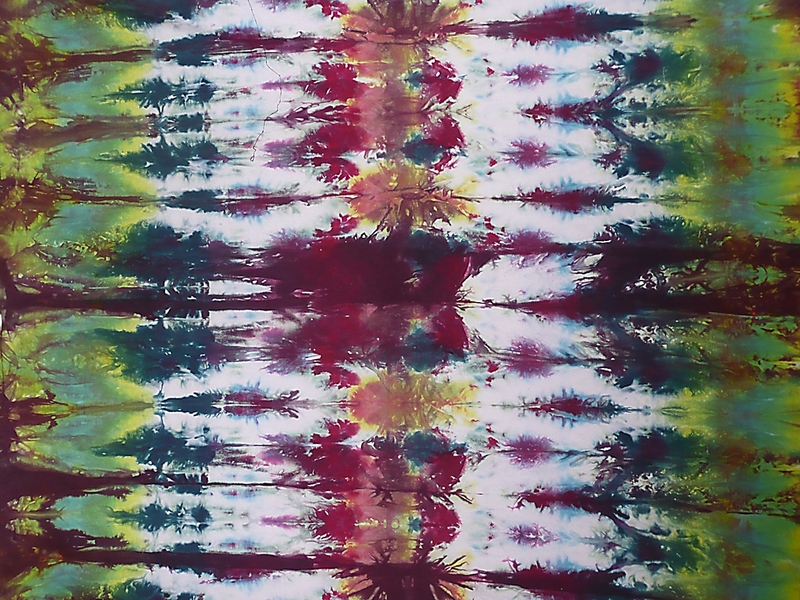 I wish we could have used a dyed fabric background before we did the screen printing process. I think it makes the print more interesting, and adds a lot of depth The cream background seems stark to me. 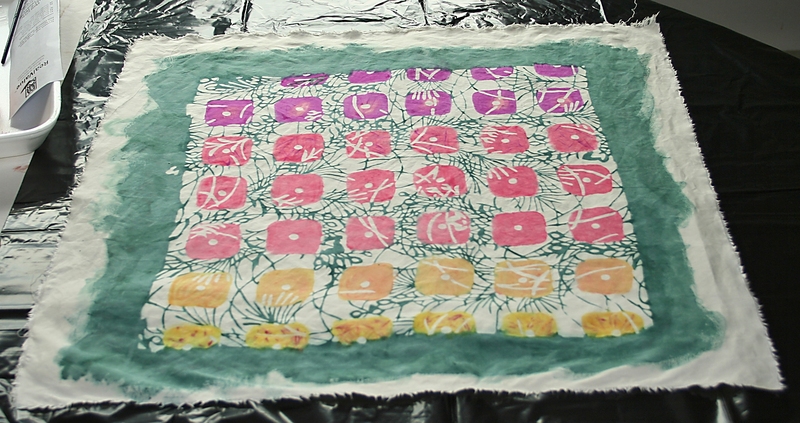 Karen paints most of her background fabric before she screen prints, but that was not an option for this workshop. 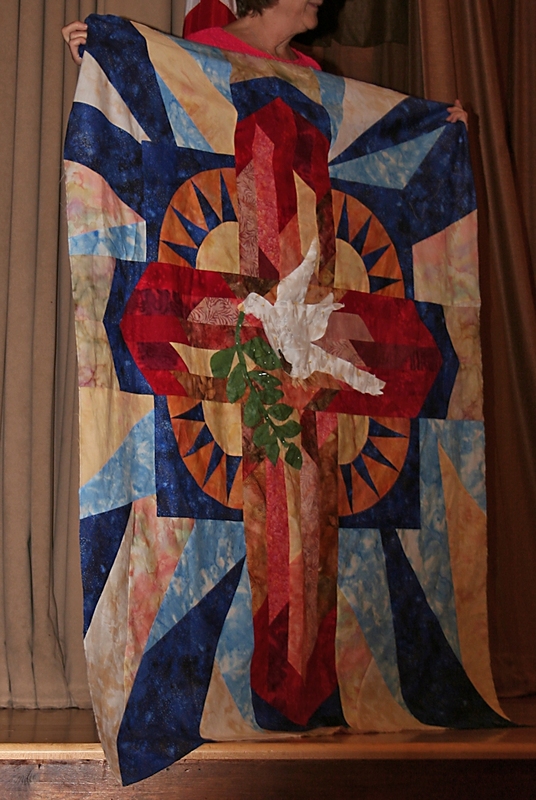 We worked with the fabric provided by Karen, and had no time to dye or paint the fabric before we applied the screen designs. If anybody has any suggestions on how to get some color on just the cream background areas, please let me know. 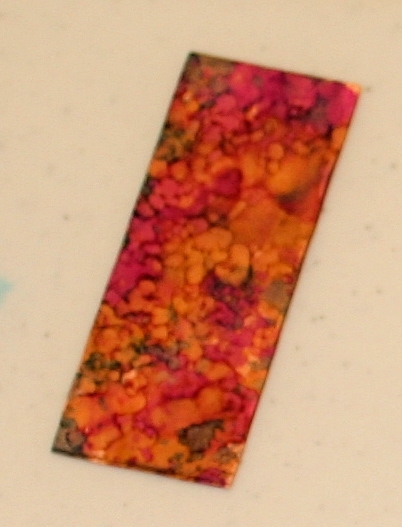 I don’t want to alter the dye painting at all, or I’d use a sheer over the entire piece. 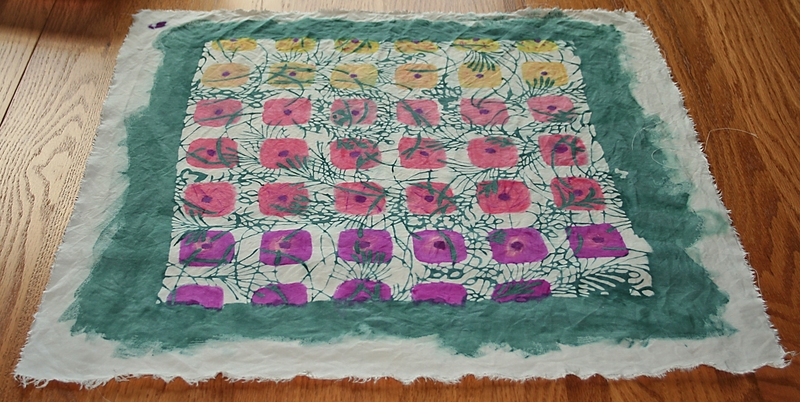 Even a light color wash would change the dye painting – especially the yellow blocks. And the reason I added a lot of green around the print, is in case I decide to stretch this over a frame. It feels very good to have finally tackled this project, but you know what? You still can’t see the fireplace hearth in my family room. It’s scary to see the pile of supplies and half finished projects laying against that hearth, and no, I’m not sharing a picture of that. LOL I’m going to leave you all with the illusion I’m organized, have no UFOs, and have a perfectly picked up home, sewing and knitting studio. I appreciate color in my artwork, and in my food. 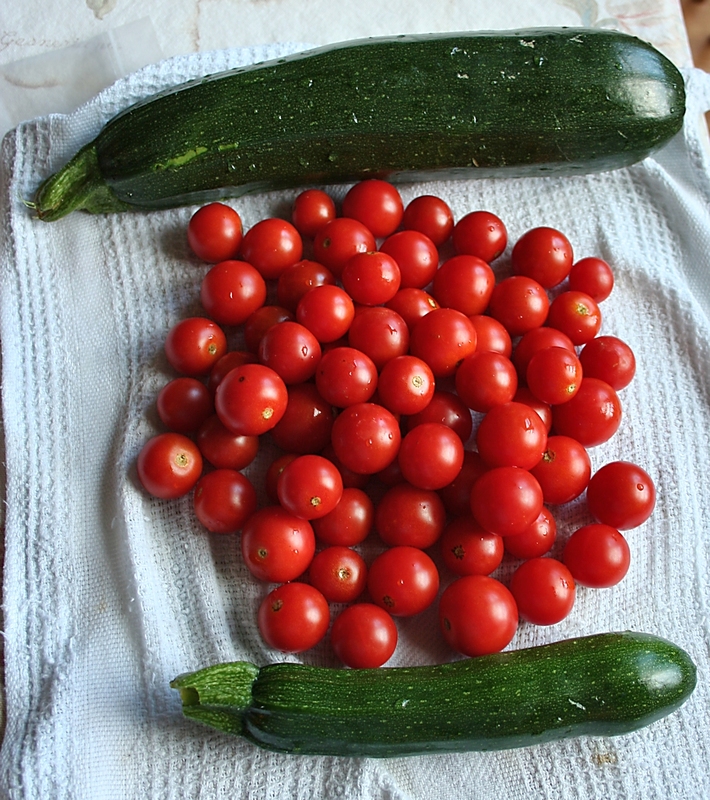 Luckily, my husband is a gardener, and we have had a pretty good crop of veggies this year – despite the drought conditions in the middle of summer. Our corn and green bean crops suffered the most, but the rest of the garden has done well. Those veggies are so pleasing to me. 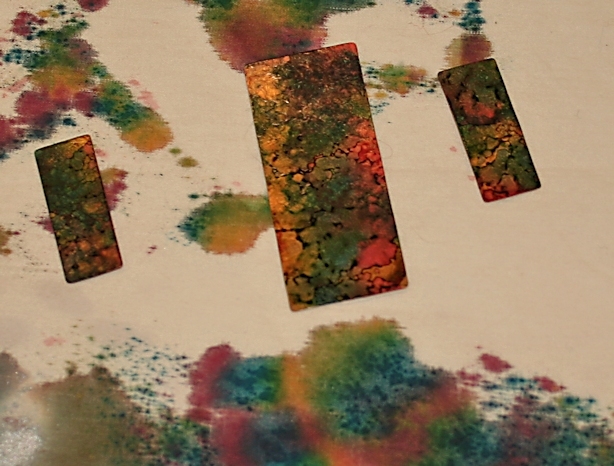 The colors were rich and saturated, and I knew I was going to make something wonderful with them. Growing up in an Italian-American home, I saw my Dad harvest plenty of tomatoes, and lots, and lots, and lots of zucchini in the past. My Mom always fried the zucchini, or hollowed out the big zucchini and stuffed it with a hamburger and sauce combination. I never liked it fried, and am not a big red meat eater, so zucchini was never high on my “veggie I like to eat” radar, yet my husband planted it every year. I make a marinara. It’s ridiculously simple to make, but tastes heavenly. It’s the fresh veggies that make this meal. You can not beat home grown tomatoes, and you can not beat cherry tomatoes for their sweetness – especially at the end of the growing season. And the extra bonus? Not only does it taste great, it’s oh so healthy for you. Extra virgin olive oil to cover the bottom of a 1 quart CorningWare flat bottomed dish – It’s really not a lot of oil, but adds a lot of taste. Bring to a boil, then cover and simmer for 15 minutes. 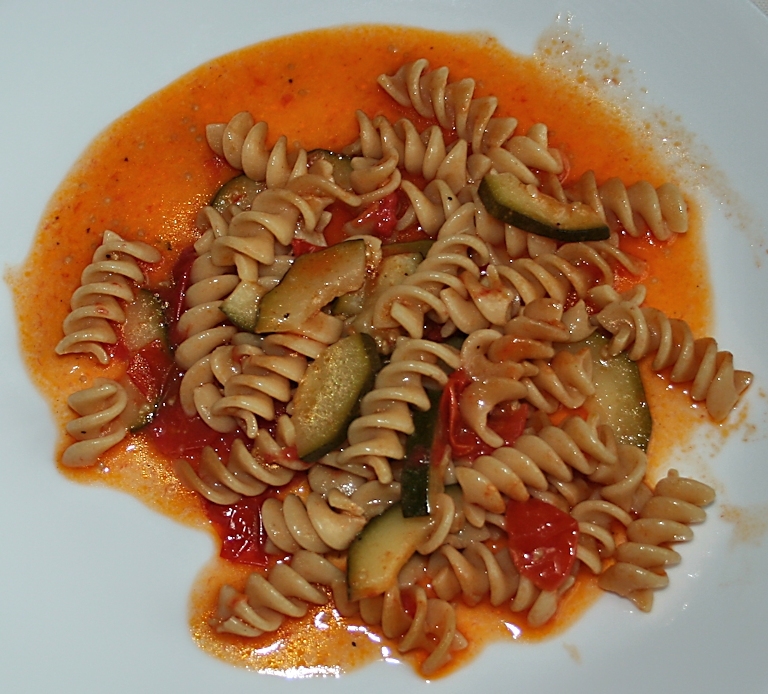 While the marinara is cooking, put some water in a pan, bring to a boil, and make your whole wheat rotini. Drain the rotini, and mix the marinara and pasta together. Optional – 1 minute before you mix the marinara with your pasta, sprinkle 1/8 tsp of dried basil into it, then combine the pasta and marinara. Or if you’re lucky like me, cut some fresh basil from the garden and sprinkle it on top of your food after it has been plated. Grate some fresh Parmesan cheese on top and mangia. I unsnapped the left edge so you could see how it expands if you want to really fill it up, but I like the sides snapped. It gives a nice profile to the bag. Karen had a beautiful piece, but no photos yet. She and Lucy will be teaching the project at the October bead meeting, and I don’t want to ruin the surprise for everyone. Hopefully, I’ll be attending that meeting too, and will have lots of photos to share then. I totally forgot to take a picture of my pieces. Heck, I’m lucky I took any pictures at all. I put the camera on a table behind me, then was having so much fun, I almost forgot to take any pictures at all. 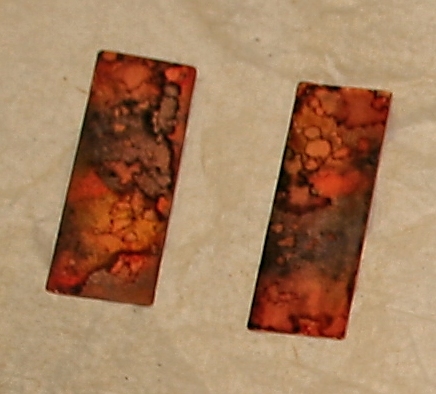 While we made jewelry yesterday, I plan on using this technique on copper pieces that will be used on my art quilts. 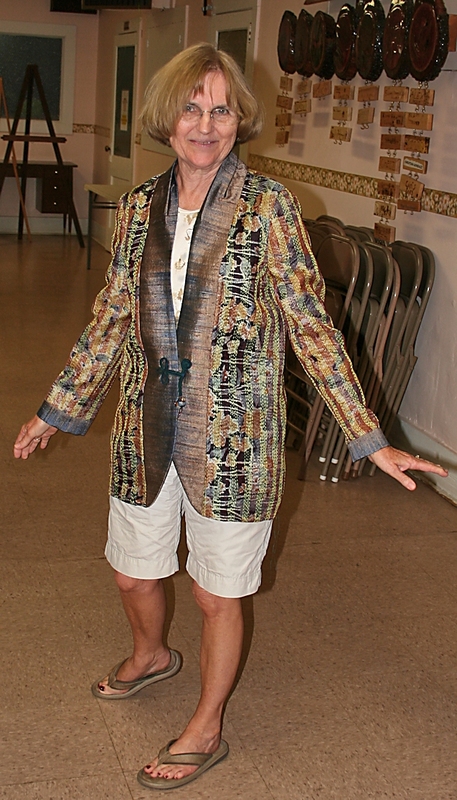 Last week I attended the Rochester Area Fiber Art meeting. As usual, there were lots of beautiful pieces to inspire. 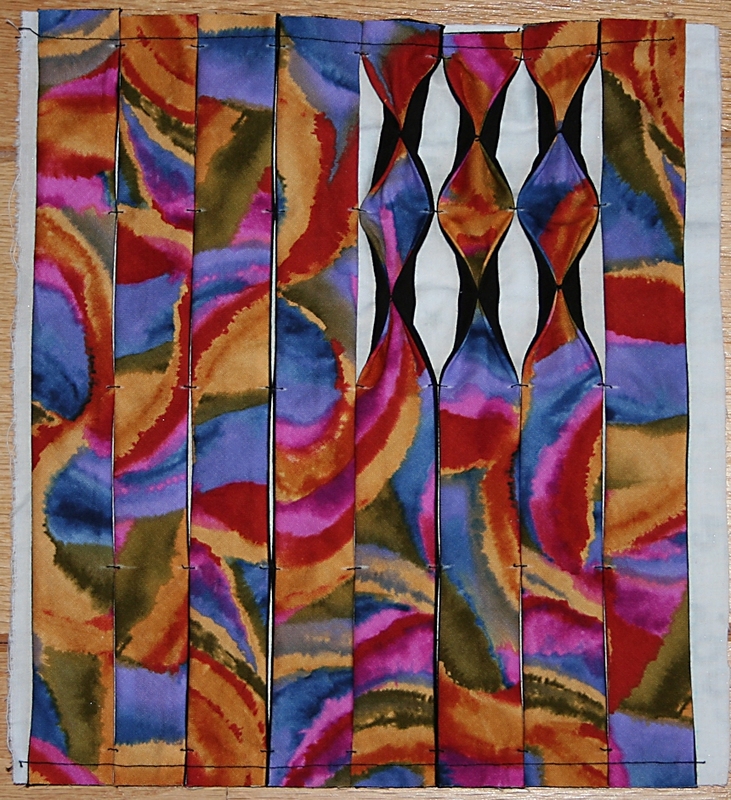 She also had a large piece of yardage she had felted with beautiful silk inserts. 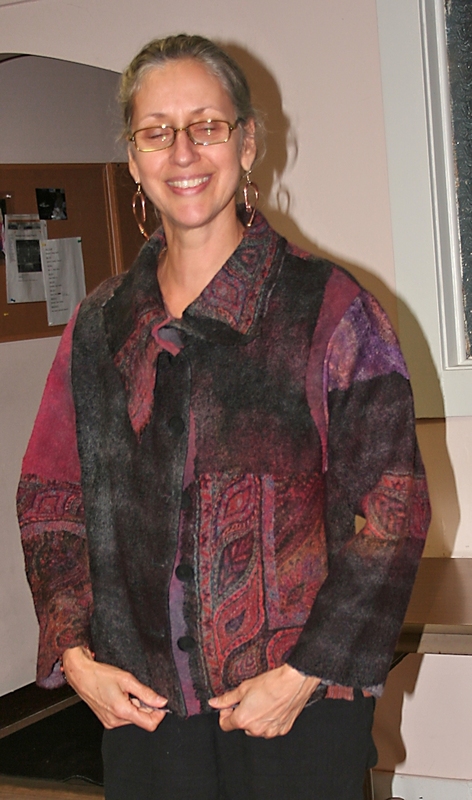 It takes a long time to create felted yardage, and hers is warm yet not bulky. It drapes beautifully. This was made with a variety of plants and I think one of them was sumac. I carefully wrote all the plants down, and have no clue where I put the paper with all the details. In the future, I’m bringing a notebook with me to the meetings so I don’t lose the information. She had more to show, but the photos came out lousy. 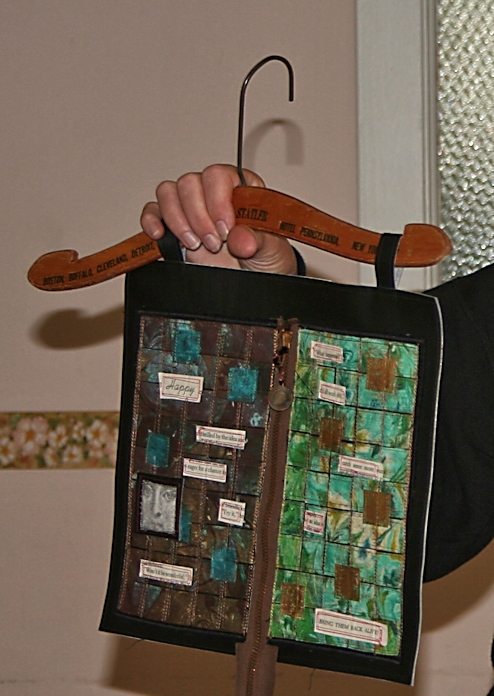 It’s too bad because one was a piece that she stamped the words to a poem on the fabric – letter by letter. It took her hours and result was well worth the effort. 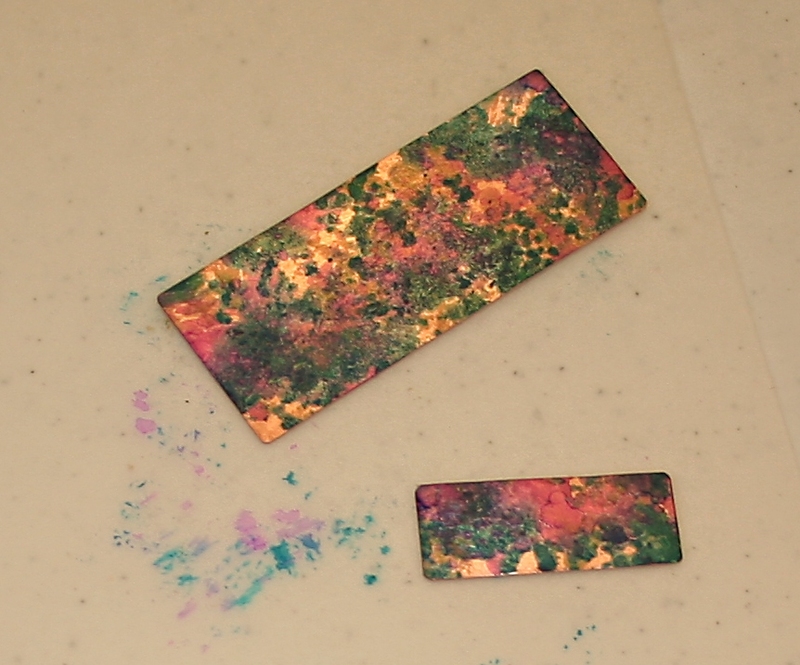 Tomorrow is my Ogden Art Group meeting, and we’re going to be painting on copper. 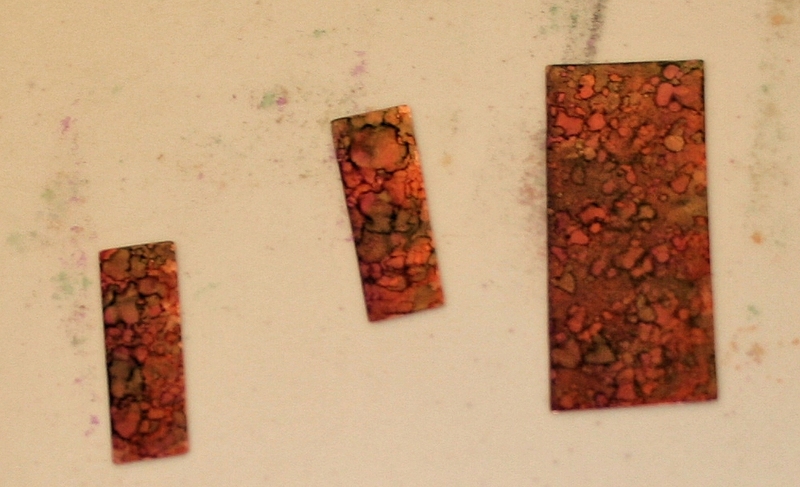 I love copper, and am really looking forward to learning this technique. 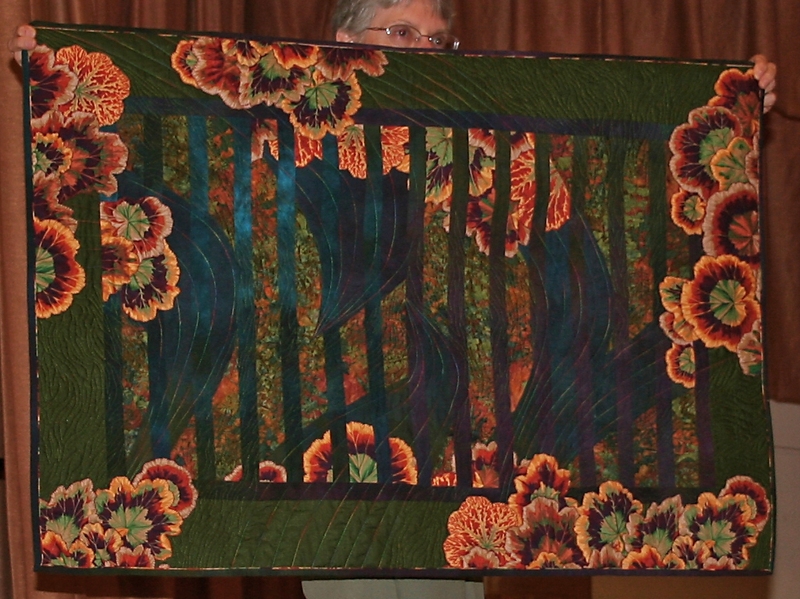 She even added the piping next to the outer binding – a technique shown at the seminar. If you double click on the photo, it will enlarge for you, and you should be able to see that detail. Y’all might think I forgot about my Round Tuit projects, but I haven’t. 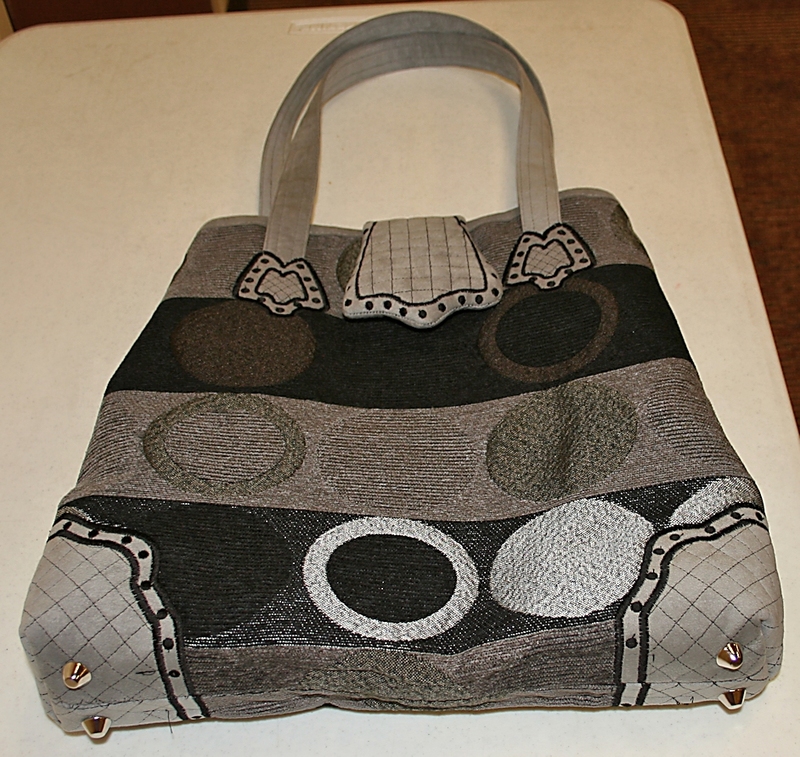 This was a bag insert and another pattern from AQS I wanted to try. I only did a little bit of the final step, but I was less than thrilled with this technique. Maybe it was the fabric I choose. It was quilting cotton, but on the beefy side, so the fabric tube was quite thick. Regardless, I’m not going to finish it. At this point in my life, I only sew what I want to sew. 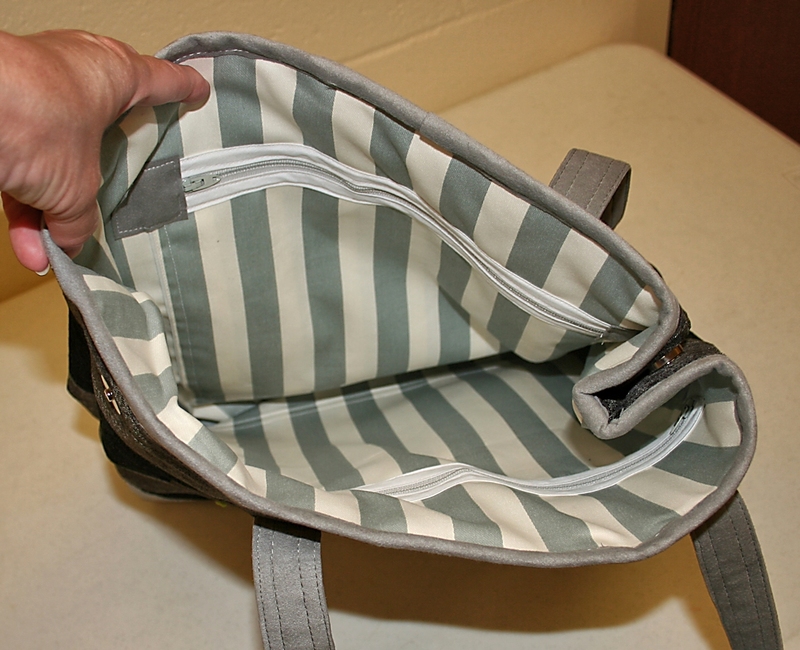 I will happily package the pattern, the partially made insert, thread, and donate it at the next GVQC meeting. Someone else might think it’s really neat, and do fabulous things with the technique. That’s if I can make it to next month’s meeting. I have knee surgery scheduled shortly with a 4 week to 4 month recovery, and I’m going to be back in a wheelchair for a bit. I really hate having to use a wheelchair, and am feeling very sorry for myself. Usually I’m pretty upbeat, but I’m in full pity party mode – reinforced by the book I’m currently reading – Pure, by Julianna Baggott. It’s terribly disturbing, grim, and totally joyless. I keep on hoping – that’s me, the eternal optimist – it will turn around, but I’m thinking it’d be a good idea for my own peace of mind to stop reading this book. It’s actually well written. It captures your attention and is hard to put down, but the graphic descriptions make me wince, and something tells me the story is not going to end well. It’s time for a little Janet Evanovich. Her books make me laugh out loud, and everybody knows that laughing makes you get better fast. Now that is more what I was hoping to achieve. Am I done with ice dyeing? No. 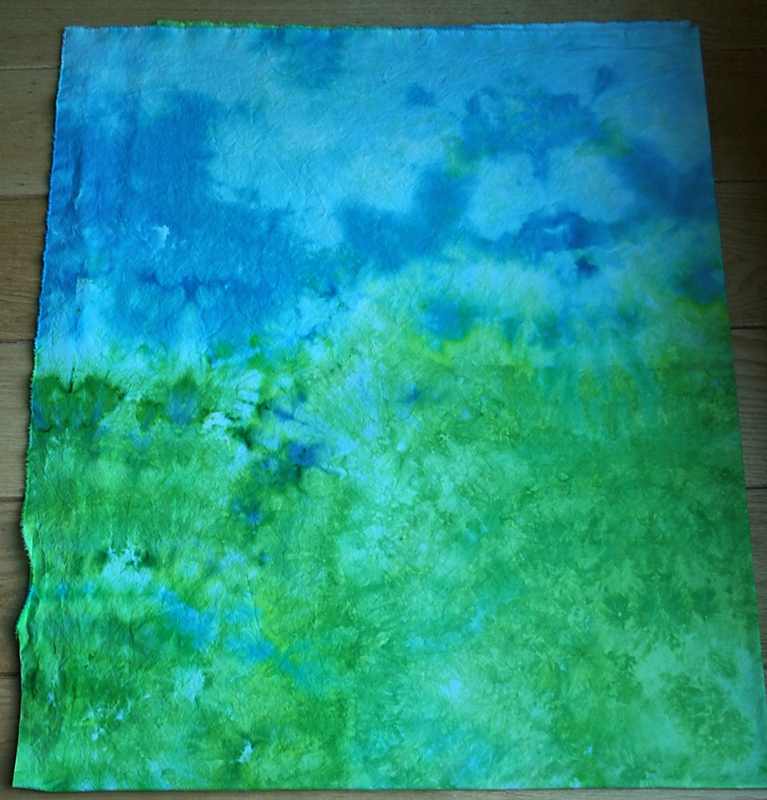 After another trip to BJs – to pick up more ice – I think I’ll try dyeing some silk. I want to compare the amount of rinsing required between the plant based vs animal based fibers. The color runoff for the blues was pretty bad. Everything in the washing machine turned blue. I always throw a white towel in with my dyed fabrics. 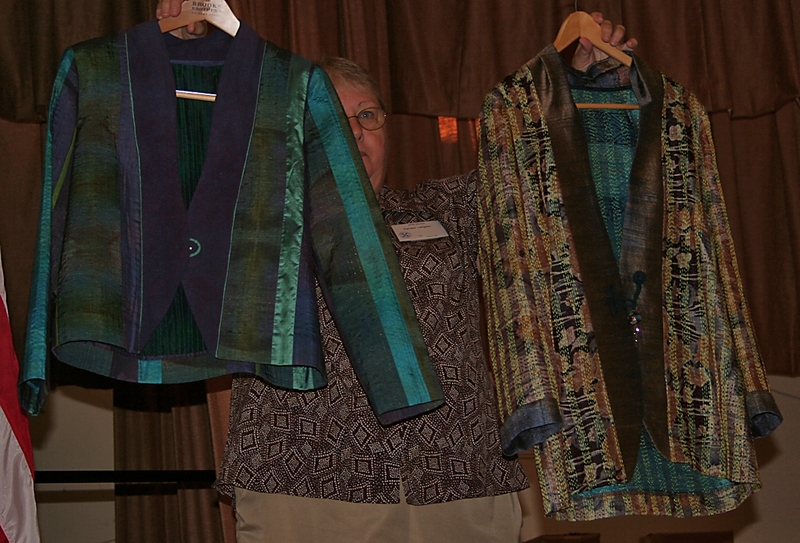 It’s a good indicator if the fabric is colorfast or not. That blue fabric required multiple washes and rinses before it stopped running, and no, I don’t use Synthrapol. It bothers my lungs. Ditto for Retayne. 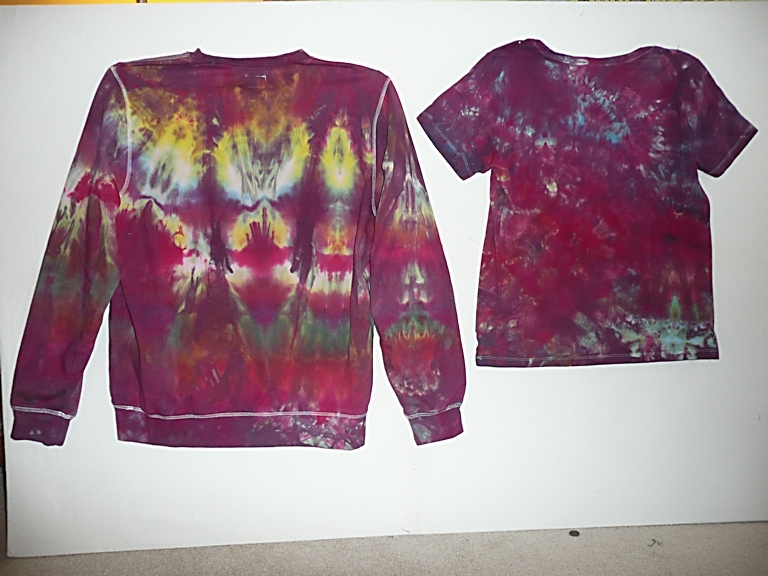 I have to rely on the soaking in cold water and multiple washes, or in really bad cases, I simply boil the fabric. Then I’m sure the color won’t run and ruin a project. Silk never gives me the problems cotton does, so it will be interesting to see how the same blue, green and grape dyes will wash out of the silk. To those who celebrate Labor Day, I hope you are having a wonderful day!! !